The life of a professional touring golf coach isn’t just nomadic, it can be frustrating too. Great coaching doesn’t automatically mean that clients will register a win or pick up a good cheque – results are out of the coach’s control. Saying the right thing, at the right time, isn’t a guarantee of success and the correct diagnoses of any swing faults are not a shoe-in for an under par round. Coaches need to be Golf Tough too! The Tour coach leads an inconsistent life travelling between countries, rarely seeing sights outside the hotel and golf course. This lifestyle is seldom rewarded with riches – that’s the player’s reserve. But coaches don’t necessarily do it for the cash. Most do it for that addictive feeling of helping. They do it for the buzz of emotion when their player goes on a birdie streak or plays unstoppable golf. They do it because seeing that little white ball disappear into the hole as a result of some of their input is, for them, a very sweet feeling. For Tour coach Hugh Marr, travelling from tournament to tournament isn’t so bad. He has some important time fillers. This period ‘in-between’ events is when he does much of his game analysis – it’s a stage for productivity. It is when he has downtime at the airport, or on the plane, that he can really get to grips with his client’s game. With a laptop in front of him he can assess and interpret a player’s data. He can find the clues that may unlock a good week for one of his competitors. As a modern coach Hugh isn’t obsessed with, or blinded by, technique. Sure, he understands the swing as well as any global golf coach, but he appreciates that technique is only a part of the equation of golfing excellence and not the only platform where champions spring from. He is, first and foremost, preoccupied by a player’s golf data – the interpretation of statistics and the most effective way of delivering improvement based on the numbers. It is his treatment of data that forms the bedrock of his relationship with clients. He is then focused on helping them develop the skill they need to play the golf of their dreams. Crunch the stats, find the weaknesses, and start to build the skill that will upgrade their game. This is Hugh Marr’s system. This is his philosophy. It is compelling, it is enduring, it is based on sound coaching science and it can help you. Golf statistics may well be the only thing that is consistent in the professional life of Hugh Marr. One week he is heading up Surrey Golf Lab, a technologically driven golf studio in Surrey, England, whereas the next week he is jetting out to a European or global destination to help the games of one of his Tour clients. During other weeks he is on lead coach duties for the very successful England Under-18 golf team at sleepy Woodhall Spa Golf Club, in the heart of the country. Hugh is a busy man, and he clocks up plenty of air miles! His scientific, evidence-based, approach is in stark contrast to his upbringing. As a youth in Glasgow he shunned school, leaving at 17 to pursue a career in golf. With a 9 handicap and one of his teachers declaring that he had more chance of being an astronaut than a pro golfer he wasn’t deterred – within a year he had a scratch handicap! Over the next decade Hugh built a strong reputation as a golf coach. Based at the exclusive Wisley Golf Club just outside London he became Surrey County head coach (helping them win three national titles) and, with plenty of success at local level, he started to draw interest from several European Tour players. Things have flown from there. Hugh’s love for learning never abates. He reads widely on topics such as physics, psychology, biomechanics, and physical fitness – all of which informs how he goes about helping his clients. His knowledge of anatomy related to golf swing mechanics is first class, and it is this acquaintance with the body relative to the swing that sets him apart from his peers. However, it is his interest in skill acquisition and his approach to developing skill that we will home in on in this chapter. Above all else, Hugh and I want you to build skill, and we know how to help you do so. To explain further, let’s take a lesson with Hugh Marr. He didn’t say much for 45 minutes. But I could see him looking. I could feel his eyes scanning motion and outcome. We were at Reigate Hill Golf Club, home to Hugh’s Surrey Golf Lab, and I’d been set a challenge. I was playing one of Hugh’s skills tests. I was focused and having fun. Above all I was learning! The ‘9 Shot Challenge’ game is one of the toughest of the dozens of skills tests Hugh monitors whenever his pupils visit him at the lab. He wants to see how they perform under pressure. He wants to see their reaction to failure, to success, and he wants to help them learn under stress. His skills tests are his stress tests. My challenge was simple – hit 9 shots with a 6 iron, and 9 with a driver. But each shot had to vary slightly – a straight shot played high, normal, and knockdown. A draw shot played into a specific target area high, normal, and low running. Finally, a fade shot played high, then normal, and one with a low launch. After I had struck all 9 we added up my score and I was then asked to execute the same demanding flights and trajectories with a driver. As I progressed with the test Hugh asked me to go through my routine. He said little, standing behind and to the side, observing my behaviour moving into the ball, noticing the way my club worked back and through, and listening to the sound the ball made off the clubface. I, myself, saw Hugh briefly checking the ball’s flight and outcome, ticking or crossing his clipboard as I progressed through the test. Once through the 18 different shots, Hugh asked me to repeat the test – he is renowned for really pushing the players he works with. Like many good modern day coaches, when you arrive for a lesson Hugh doesn’t automatically ask you to reach for your 7 iron. He doesn’t assume you want a long game session and he doesn’t presume that your technique needs fixing. Go for a lesson with Hugh and you may start by looking at your statistics together. If you don’t have any (most don’t) then Hugh will talk to you a little about your game – he’ll ask you the right questions and you’ll uncover the areas you need to work on in order to improve your game. At this stage, depending on the specific challenge you have, it’s unlikely he’ll dive straight into working on your swing or stroke mechanics. Instead he’ll probably set up a skills test for you to accomplish. He wants to see you in action under pressure. This is because Hugh knows there is a difference between technique and skill. Most people don’t! Technique is the ability to perform a physical task, whereas skill is the ability to perform a task in a game setting. This is a subtle yet cavernous difference that seems to have bypassed many golfers – from recreational, through to good amateurs, as well as professionals. It is one that shouldn’t be ignored. Developing golf technique is different to developing golf skill. Technique is a component of skill – that is all. Technique doesn’t win trophies, nor does it reduce your handicap by five shots. Technique doesn’t hole putts and it doesn’t help players graduate to Tour standard. Technique is only a part of the process. Golf demands the ability to control the ball over an ever-changing terrain in an ever-changing environment. And competitive golf demands you do this, under pressure. Isolating the golf swing and working on it is not the golf course formula for success. It’s the practice ground formula for success. Training yourself to hit from one spot with one motion is not golf skill. It’s driving range skill. Training yourself to stroke from one spot with one motion is not putting skill. It’s practice putting green skill. Too many golfers incorrectly believe that within lower handicaps lies better technique. And too many golfers believe that the only way to shoot lower scores is to improve their technique. Wrong and wrong! Let me be very clear. I am not saying that technique is irrelevant. I am not suggesting that technical excellence isn’t the mainstay of champion golfers. Having a repeatable motion is important, and this is why the next chapter is dedicated to the psychology of developing your swing and stroke technique. I am not anti-technique. Refuting its importance would be like denying the presence of the sun and moon and sky. What I am arguing is that to be the very best golfer you can be, you need to practice in a manner that helps you improve your golf skill and not just your swing and stroke technique. You need to be able to package your technique so that you can transfer it onto the first tee under competition pressure. You need to practice in a manner that focuses your mind and builds confidence. These are essential acquisitions as you work towards being Golf Tough. The most effective form of practice is one that puts you at the heart of the learning process. It demands more from you than to simply hit a position in the swing. It is not necessarily the attainment of one motion or one action. It is called skills testing, and here is its art and science. Practice with the focus of play, and you’ll play with the freedom of practice. I’m going to give you two scenarios. I want you to pick which you think is the most effective platform for improving your golf. In scenario 1, I want you to put yourself on your local driving range. You’ve chosen a big bucket of balls – 100 of them. You’ve got an hour or so to get through them – plenty of time to hit lots of shots. And that is what you do, you hit shot after shot. When you hit them straight you get a rush of adrenaline and you quickly scoop up another ball to repeat the swing that’s led to a mini success. When you hit shots left and right, or duff or thin, you berate yourself and strive to focus better on the next one. Despite the inconsistency you’re putting effort in. You’re practicing hard. That is how games are won right? By practicing hard! In scenario 2, I want you to once again put yourself on your local driving range. This time you’ve chosen a small bucket of balls – 60 of them. Like our first scene you have about an hour to hit them, but this time you’re going to create a skills test – an assessment that will tax your mind and body. You’re going to put yourself under a little bit of pressure because you know that’s what the game demands. The test you decide to do is called the ‘Tee Shot Challenge’ (it’s one of Hugh’s). You want to test your tee shots because they’ve been a little off lately. You mark out a fairway twenty yards wide by using the flags that are on the range and you give yourself an extra 5 yards either side of the flags to denote the semi rough. The game is simple – using your driver, 3 wood, and a hybrid or long iron, you hit thirty shots in total (ten each) and give yourself 3 points for a fairway hit, 2 points if the ball finishes in the semi rough, and minus 1 point for a missed fairway. Once you’ve completed this you do it again and strive to beat your first attempt. Let’s briefly discuss the difference between the two scenes. Their distinction is striking! The approach in scene 1 lacks structure and bears little relation to playing golf on the course. More often than not it will fail to capture the interest of the golfer for the duration of the practice time and acts as a catalyst for a rollercoaster ride of emotion. The golfer can build confidence from a session like this if he hits it well, but down to chance more so than design. Most importantly scene 1 puts no pressure on the golfer – there is no emphasis or measurement of success and failure. In contrast, scene 2 details a game that is fun to complete (and fun is a forerunner to focus). The ‘Tee Shot Challenge’ is a skills test that puts you under pressure – it mirrors the actual skill you have to execute on the course. Sure, you may experience negative emotion if you perform badly, but this gives you the opportunity to learn to keep your cool. If you succeed in beating your previous attempts on the test you’ll receive a huge hit of confidence as you walk away from the range. You will have seen progress. You will have proof that you are developing skill. If, on the other hand, your score deteriorates on a third, fourth or fifth attempt, that’s fine as well. If there is a pattern to your misses then seek out your PGA coach for some help. He may be able to give you some technical pointers that will enhance your skill building. Combining your coach’s technical instruction with your skills tests – now there’s a compelling double act. Do skills tests help you learn? Do they help you improve? Of course they do. They help you develop the hand-eye coordination you need to play Golf Tough. They help you learn to play under pressure. They target specific improvement related to the on-course areas you are testing. Skill isn’t just technique. It’s a heady mix of confidence and focus. It’s coordination. It’s attuning mind with body. It’s training your brain to react to a target without thought or over-complication. It’s feeling the swing and linking the kinaesthetic to seeing the outcome. It puts you in the pilot seat. It avoids an over-reliance on your coach or your playing partner or a parent or spouse. After all, they won’t be able to do it for you on the course in a competitive environment. Skilled golf under pressure is down to you and you alone. That, as a student of Golf Tough, is your privilege and your burden. Ultimately, the golfer who takes home the trophy is the one who executed the most skill under pressure. A skills test is nothing more than a game – a game to test and challenge and tease. It’s a game that’s fun, but it’s not frivolous – it can focus your mind and frustrate in equal measure. A test narrows the game down to a specific component such as putting or tee shots, although you can create skills tests that mix different areas of golf. A test that comprises both chipping and putting, or which fuses driving and approach shots, can create more realism and a greater challenge. The essence of skills tests is to ‘train the whole’. They are designed to train your thinking, your feelings and your actions. This combination is imperative because the three collide on the golf course as you compete. Your thoughts influence your actions and both thought and action mediate how you feel. A circular momentum is established between these three human qualities that vibrate back and forth. To play Golf Tough you have to strive to manage all three. Here are some example tests to help you build skill, to put you under pressure and to help you build confidence. Some are the tests Hugh uses with his Tour professional clients, whilst some are mine. Isolate a hole on the putting green and measure 18 inches to the sides of the cup (left and right) and 18 inches behind it. Mark out this area using a couple of tees. Now measure out 5 specific distances from the hole – 6 feet, 12 feet, 18 feet, 24 feet and 30 feet. Place a ball at each location. You are going to putt from each spot keeping a score using this system – hole the ball to go one under par; leave the ball short to make a double bogey (2 over); if the ball finishes level with the hole or inside the marked zone you make par (your par zone); race the ball past the hole and the par zone and you drop a shot (1 over). Add up your score – it would be great if you finish under par. After you’ve completed your first go, immediately set about trying to beat your initial score. If you get to the final few putts and you have to putt the ball into the marked zone you’ll find yourself getting a little edgy. You may experience nerves as such, but you may get a little tight in your body and a little tentative with your stroke. It’s a perfect putting skills test to recreate the sensations you have as you compete on the course. Mark out an area 10 feet in radius around a flag (or, if you are a less proficient player, 15-20 feet). Place 10 balls 20 yards from the flag, 10 balls 30 yards away, and 10 balls 40 yards from the flag. Never hit consecutive shots from one distance – move up and down the line so you get to experience a different distance with each shot you make. The aim of this test is to hit the 10 foot green as often as you can. You can set yourself a target of between 20 to 25 hits (about 70% to 80%). To put more pressure on yourself, narrow the target, or raise the goal, and keep re-testing. The more hits you experience as you narrow your target the more confident you will feel with your pitching. If, however, you consistently fail then it might be time to take a pitching lesson. Do this test with your PGA professional next to you. Watching you will help him find appropriate technical solutions for your pitching set up and action. This test is great at building frustration (and thus helpful not just as a skills builder but also as a test for managing emotions). It takes discipline, determination, and dedication to complete it. Take 10 balls and pick out a fairway 20 yards wide. Use different objects such as marker boards, flags, or even trees on the range to do this. The aim of this test is simple – hit as many consecutive shots onto the fairway as possible. If you miss a fairway then you have to start your count again. This test is pressure laden. Your objective is to hit all 10 shots onto a fairway – the seventh, eighth, ninth and tenth balls will be heavily burdened by stress. Negative thoughts will probably pop into your mind as you reach the latter stages – “Don’t miss now, I’ve nearly completed the test.” A great way to learn how to manage your brain and nervous system while experiencing competitive anxiety. This is a great test to acquaint yourself with keeping statistics. Play 9 holes on the range but limit them to tee shots and approaches. Give yourself a point for hitting the fairway and a point for hitting the green. Also, reward yourself with additional points for hitting your intended shots, for example a draw, fade, or straight shot. This skills test is a great way to prepare for an upcoming tournament. Play the front nine or back nine of the course you will be competing on. Picture the holes you will be playing and strive to hit its fairways and greens. Once complete, go back to the beginning, and try again with the aim of beating your initial score. You now have a few examples of the type of skills tests that Hugh and I would like you to complete. If you commit to this type of practice you will build a greater understanding of your game, you will build skill, and you will improve. Of course there are some rules and guidelines to adhere to if you want to get the most from your skills testing. Here are some inner workings of this vital practice. Many of you reading this book won’t have the facilities to measure skills tests accurately. You may not be able to mark out distances and radiuses. That’s fine. You will have to estimate measurements, but that alone is better than not doing skills tests at all. Don’t make your facilities your excuse. Your game is too important for that. Skills tests have too much of an impact to brush them aside simply because you have to use a little more imagination to put them into practice. Set your measurement parameters based on your experience, ability and competence. It’s an obvious statement to make, but the better the player you are – the tougher you should make your tests. Let me give you an example. The test ‘Off the Tee’ can be varied according to who is playing the game. Better players may start with a fairway 20 yards wide then re-test with a fairway 15 yards wide. Those who want to re-create the conditions of the 1999 British Open at Carnoustie may wish to try and hit to a fairway 10 yards in width! The reverse is true as well. Recreational golfers of modest ability could set themselves a wide fairway of 40 yards. They could also set themselves a more modest target of hitting 50% onto the cut stuff. The great thing about all skills tests is that progression can be seen easily. Practice requires a purpose. Always work towards being slightly better in every training session. This book is going to be packed with ideas on how to manage your mind. Whether it’s maintaining a positive approach, staying in control of emotions, or dealing with distractions – the answers can be found in the remaining chapters. Skills tests are a fantastic platform to challenge your ability to stay in control of your mindset. If you’re on a bad run of shots – work on keeping yourself calm. If your mind is wandering or distracted every few minutes, take appropriate action to retain your focus. If your confidence is sapped from a few bad shots use the examples from this book to give yourself a boost of positivity. As Hugh Marr would say, skills tests are your stress tests. They are powerful game changers because they create a practice environment that incorporates the kind of pressure you’ll experience out on the course in a competition. By testing your skills you are training the interaction between the physical side of the game and the mental side of golf. The essence of testing is in the re-testing. Doing a skills test once will focus your mind for half an hour but it won’t give your brain a blast of certainty or a hit of confidence. Make sure you are re-testing on a regular basis and keep a record of your scores. You want to see progression, but regression is useful too. Progression demonstrates an improvement in your skill set, while regressive scores should signal a trip to your coach. Uncovering what you have to work on to improve your skills test scores is your next port of call. Give your skills test scores to your coach. Take him through the testing procedures if he is unaware of the games you are playing. More feedback for him helps diagnosis – data gives him a sense of where you are with your game, the mistakes you are making, as well as an awareness of the bad habits and patterns that are creeping into your game. If you’ve recently had a lesson on putting then it would be wasteful to head straight out onto the range to complete a long game skills test. Whilst a golfer should complete a mix of tests each month I would advise you to emphasise those that are most relevant to the lesson you’ve just had. Avoid being too passive as you work through the tests. Certainly steer clear of a ‘going through the motions’ state of mind. Engage in the learning process. The outcome of testing is mediated by your focus and by the effort you put in. Pay full attention and go through the shot routine you’ll learn in the ‘prepare’ section of this book. By taking each shot seriously you mirror the competition intensity you demonstrate when you play in a monthly medal, matchplay event, or local tournament. Be intentional and engage with the right intensity. Finally, and perhaps most importantly, create your own tests. Use your imagination. If you take a little time to think about it, and put your mind to it, your own creations will be better and more relevant for you than any test set by someone else. For those who are super keen – keep a folder of tests and a notebook to record your scores. Also jot down your thoughts behind both good and bad test results. Observation committed to paper will linger in the mind longer and speed your progress towards Golf Tough. The more you test yourself, the better you’ll be when you play in testing conditions. Ultimately when you face down a 165 yard approach shot to a tight green or a tricky chip with the green sloping away from you it feels good to know – to know you’ve been there before. You want a brain primed to react with confidence. You want a pressure-proofed brain. Skills testing is a critical essential. A golf brain that has seen it before, done it before, and executed under pressure is one that is ready for competitive action. As a practice protocol it enunciates stress and places burden on your confidence. It helps you practice Golf Tough. Enriching your practice ground habits is a Golf Tough must. It takes focus and commitment, but its rewards are great. I’d like you to construct a practice schedule that both Hugh and I would be proud of. I’d like you to get down and dirty with your skill development. Experiment! Test yourself. Set up a little adversity and strive to build a mind that copes effectively with pressure. Next time you’re at the range perhaps take a little time to ask yourself “What would Hugh say?” Would you impress a hard-to-please Scotsman, or would you incur his wrath? He has, after all, flown in to see you. In golf, head and heart are inextricably linked. 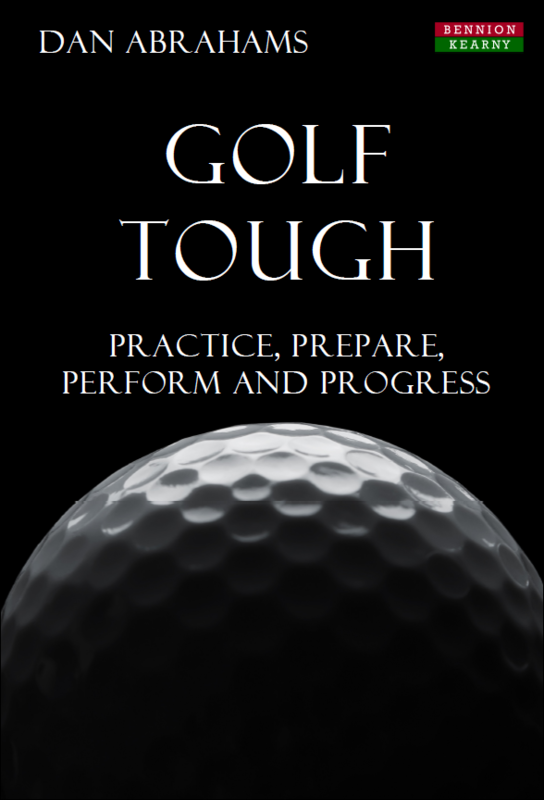 Skills testing is the domain of the intelligent player, the one who wants to be Golf Tough. But intelligent players must also have the heart to exploit the brain that drives their hands. Practicing in the way Hugh Marr wants you to practice is challenging. In fact, practicing in the way all world class coaches want you to practice is challenging. It’s not the same as beating a bucket of balls. If you prefer the latter I don’t blame you. It’s the road more travelled and the path of ease. But if you’re still with the elite, and you fancy staying the course, then the next chapter will compliment Hugh’s methodology.